MEDICINE HAT, AB – The newest brewery in Medicine Hat, Alberta has announced that it is now open to the public. 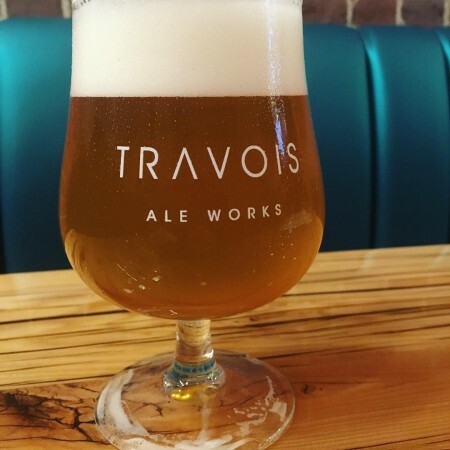 Travois Ale Works has been founded by partners Todd Weibe, Rob Hozack, Jory Marchand, and Jacques LaBlanc in a former tattoo parlour in the city’s downtown. Named after a type of traditional dogsled used by the area’s indigenous people, Travois had a brief soft opening lat week, and has been officially open since Monday November 19th. With a focus on producing “a mix of revolutionary American and traditional European styles that are both creative and approachable,” the brewery is offering a number of beers by the glass and growler including Brown Porter (5.38% abv, 25 IBU) – available in both standard and nitro versions – English Summer Ale (5.78% abv, 20 IBU), Belgian Blonde (7.22% abv, 28 IBU), and North West Wheat (5.25% abv, 33 IBU), with more to come. Travois Ale Works is located at 612 3rd St. SE in Medicine Hat, and is open from 11:00 AM to 10:00 PM daily except for Sundays. For more details, see the brewery website and Facebook page.